디플로마트, 이명박 ‘박근혜 합류 수감’ 가능성 높아져 - Newspro Inc.
디플로마트가 이명박 전 대통령이 박근혜에 합류하여 수감될 가능성이 농후해지고 있다고 전망했다. 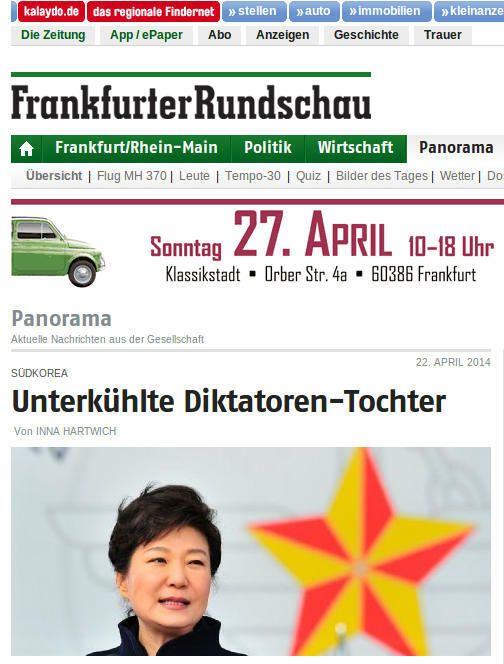 박근혜의 국정농단에 이은 또 다른 전직 대통령인 이명박의 국정농단 및 부정부패 의혹들이 사실로 드러나 외신들이 이를 앞다투어 보도하고 있는 가운데 나온 이번 디플로마트의 보도는 이명박의 국정원을 이용한 블랙리스트, 지난 2012 대선 정국에서의 댓글부대 운용, 4대강 비리 그리고 이명박의 명줄을 쥐고 있는 것으로 예상되는 BBK 사기 등을 마치 이명박 비리 총정리판을 내듯이 정리해서 집중 보도하고 있어 눈길을 끌고 있다. 디플로마트는 3일 ‘South Korea Goes From One Presidential Scandal to Another-또 다른 한국 전임 대통령의 스캔들’이라는 제목의 기사에서 서문부터 ‘이명박 전 대통령의 스캔들에 대한 수사 재개로 한국의 전직 대통령 또 한 명이 수감될 상황에 직면할 수 있게 되었다’고 이명박 대통령의 수감을 직선적으로 언급하며 ‘박근혜 행정부의 전임자로 2008년부터 2013년까지 대통령직을 수행했던 이명박 전 대통령이 현재 부정부패 파문을 마주하고 있다’고 보도했다. 디플로마트는 ▲이명박 행정부도 박근혜 행정부와 마찬가지로 정부를 공개적으로 비판한 예술가들과 코미디언을 대상으로 블랙리스트를 관리하고 있었고 ▲ 당시 야당 후보였던 문재인 현 대통령에 대한 부정적인 글을 올려 SNS 상에서 대중의 여론을 조작하는 팀을 운영하는 데에도 국정원 자금 이용 ▲ 4대강 사업의 여러 부분을 입찰하고 낙찰하는 절차는 불투명했으며 재무 승인은 비정상적인 속도로 진행, 4대강 사업이 이명박이 한반도 대운하(GKW)를 건설하려다 입찰에 실패한 것에 대해 만회하려던 수단은 아니었는지 공개적으로 의문을 제기 ▲가장 악명 높은 것은 BBK 스캔들 등 이명박의 부정부패 및 비리에 대해서 상세하게 파헤치고 있다. 디플로마트는 검찰이 이러한 스캔들에 대해 수사에 착수했으며 특히 BBK에 대해 사건을 재개하였고 이명박이 이 스캔들에 관견이 있는지 조사 중에 있다고 발표함으로써, 가까운 장래에 두 번째 전임 대통령이 박근혜에 합류하여 수감될 가능성이 점점 더 농후해지고 있다며 이명박의 구속 및 징역행에 중심을 두었다. 다음은 뉴스프로가 번역한 디플로마트의 기사 전문이다. 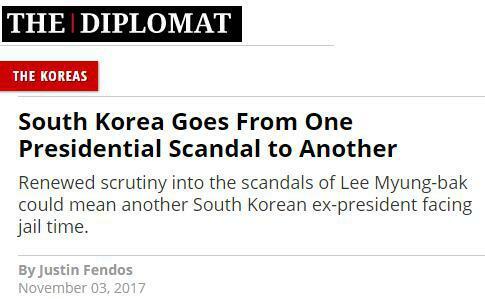 Renewed scrutiny into the scandals of Lee Myung-bak could mean another South Korean ex-president facing jail time. 이명박 전 대통령의 스캔들에 대한 수사 재개로 한국의 전직 대통령 또 한 명이 수감될 상황에 직면할 수 있게 되었다. 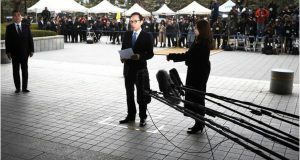 As we approach the one year anniversary of the massive protests that led to the ouster of ex-president Park Geun-hye, the ill deeds of another South Korean administration have been coming under close scrutiny. 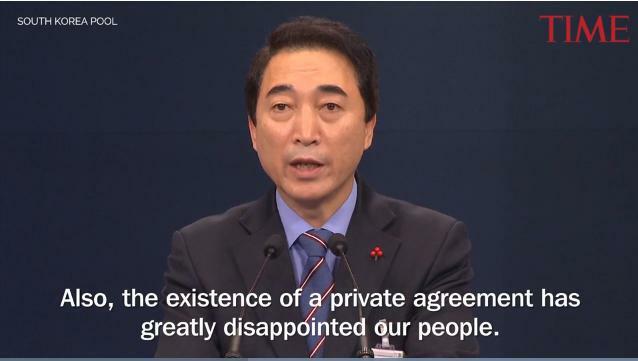 The administration of Park Geun-hye’s predecessor, Lee Myung-bak, who served as president from 2008 to 2013, is now facing its own corruption scandal. 박근혜 전 대통령을 탄핵으로 이끈 대규모 시위 1주년이 다가오는 가운데 또 다른 한국 행정부가 범한 부정행위가 면밀한 검증을 받고 있다. 박근혜 행정부의 전임자로 2008년부터 2013년까지 대통령직을 수행했던 이명박 전 대통령이 현재 부패 스캔들을 마주하고 있다. Documents from the National Intelligence Service (NIS) released this September show that Lee’s administration, like Park’s, maintained a blacklist of artists and comedians who were openly critical of the administration. This list appears to have been used to influence art and broadcasting projects funded with public money, preventing at least 82 individuals from being hired through a variety of venues. 올해 9월에 공개된 국정원(NIS) 문서에 따르면 이명박 행정부도 박근혜 행정부와 마찬가지로 정부를 공개적으로 비판한 예술가들과 코미디언을 대상으로 블랙리스트를 관리하고 있었다. 블랙리스트는 공공자금으로 지원받는 예술계와 방송계 사업에 영향력을 행사해서 최소 82명이 다방면에 걸쳐 채용되지 못하도록 막는 데 사용된 것으로 보인다. The blacklist was kept and maintained by the NIS as part of a larger campaign of subversive political activity, a campaign headed by then-NIS chief Won Sei-hoon. In addition to the blacklist, Won appears to have misused NIS resources to help pro-government conservative civic groups obtain financial support for political rallies and campaign activities. 블랙리스트는 원세훈 당시 국정원장이 선두지휘하던, 보다 큰 단위의 파괴적 정치 활동의 일환으로 유지되고 관리되었다. 블랙리스트 외에도, 원세훈 전 국정원장은 국정원 자원을 이용해서 친정부 보수 성향 시민단체가 정치적 집회와 유세운동 활동 등을 벌이기 위한 재정적 지원을 확보할 수 있도록 도왔다. 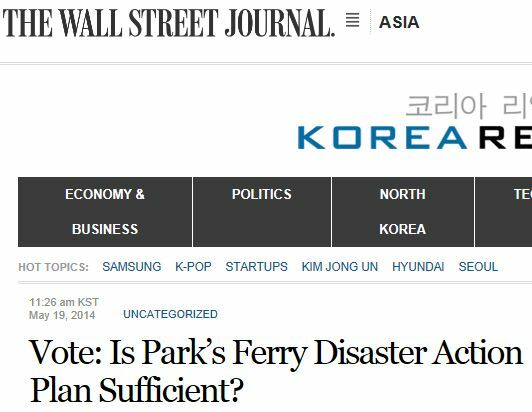 Some of this support was even used to operate a unit that faked public opinion on social media networks during the 2012 presidential election by posting favorable comments about Park Geun-hye and negative ones about then opposition candidate Moon Jae-in. At least 1.2 million tweets were revealed as having been posted in this effort. 이러한 자금의 일부는 2012년 대선에서 박근혜 전 대통령에 대한 호의적인 글과 당시 야당 후보였던 문재인 현 대통령에 대한 부정적인 글을 올려 SNS 상에서 대중의 여론을 조작하는 팀을 운영하는 데에도 이용되었다. 트위터 게시글 최소 120만 개가 이런 작업을 위해 작성된 것으로 드러났다. Won also misused NIS resources to pressure media outlets to withhold negative commentary about the Lee Myung-bak administration, even authorizing secret surveillance of opposition political figures. Although it remains to be seen how much direct involvement ex-President Lee had in these activities, the activities themselves have been confirmed and proven, resulting in Won’s conviction and imprisonment. 원세훈 전 국정원장은 또한 언론 기관에 압력을 넣어 이명박 행정부에 대한 부정적인 견해를 억제하도록 하는 데 국정원의 자산을 이용했으며 심지어 야당 인사들을 비밀리에 사찰하도록 하기도 했다. 이명박 전 대통령이 이러한 국정원의 활동에 어느 정도 직접 개입했는지 아직 밝혀지지 않았지만 이러한 활동 자체는 확인하고 입증되었으며, 그 결과로 원세훈 전 국정원장이 유죄 판결을 받고 수감되었다. Allegations of illegally influencing an election are not the only charges to have been directed at Lee in recent months. The NIS scandal has also renewed interest and scrutiny in the Four Major Rivers Restoration Project (FMRRP) that Lee Myung-bak’s administration implemented from 2009 to 2011. 선거에 불법적으로 영향력을 행사했다는 의혹만이 이명박 전 대통령을 향한 혐의의 전부는 아니다. 국정원 파문은 이명박 행정부가 2009년부터 2011년까지 시행한 4대강 사업(FMRRP)에 대한 관심과 면밀한 조사를 재개하도록 했다. The FMRRP was a massive infrastructure project costing about $20 billion designed to clean up rivers, reduce floods and droughts, and develop riverside leisure facilities. The FMRRP resulted in the construction of 16 weirs, five dams, and 96 reservoirs but was frequently dogged by fierce criticism from both environmentalists and political activists. 4대강 사업은 강을 정화시키고 홍수와 가뭄 발생을 줄이며 강변의 여가 시설도 개발하도록 설계된 대규모 기간 시설 프로젝트로서 약 200억 달러의 비용이 소요되었다. 4대강 사업으로 16개의 보, 5개의 댐, 그리고 저수지 96개가 건설되었으나 이 사업은 환경보호론자들과 정치활동가들로부터 종종 거센 비난을 받곤 했다. Environmentalists were upset about the severe damage done to natural habitats. Algae blooms, in particular, were a serious issue with many of the new constructions. These blooms caused damage to aquatic life by depriving fish and other creatures of oxygen. In the southern part of the country, these blooms were nicknamed “green algae lattes” because of their frothy prevalence. Despite repeated calls to dismantle the offending dams and weirs and restore natural conditions, no such steps were taken. 환경보호론자들은 자연 서식지에 가해진 심각한 피해에 대해 화를 냈다. 특히 대량의 녹조 현상은 많은 새로운 건축물에서 심각한 문제였다. 녹조 현상은 물고기와 다른 생물에게서 산소를 빼앗아 수중 생태계에 피해를 입혔다. 남쪽 지방에서는 거품이 많은 모습 때문에 이를 “녹조 라떼”라고 별명 붙였다. 문제가 되는 댐들과 보를 해체하고 자연 상태를 회복하라는 거듭되는 요구에도 불구하고 그러한 조치는 취해지지 않았다. Political activists, on the other hand, criticized the FMRRP for the hasty and misleading way in which it was implemented. Like similar infrastructure projects under the Park administration, the procedure for bidding and awarding different parts of the FMRRP was opaque, with financial approval occurring at abnormal speeds. The auditing of expenses was also criticized as being too lenient and opaque. Many critics openly questioned whether the FMRRP was a way for Lee to make up for his failed bid to construct the Grand Korean Waterway (GKW). 정치활동가들은 한편 4대강 사업이 성급하고 오해의 소지가 다분한 방식으로 시행된 것에 대해 비난했다. 박근혜 정부의 비슷한 기반 시설 프로젝트와 마찬가지로, 4대강 사업의 여러 부분을 입찰하고 낙찰하는 절차는 불투명했으며 재무 승인은 비정상적인 속도로 진행되었다. 경비 감사도 지나치게 관대하고 불투명하다는 비판을 받았다. 많은 비평가들은 4대강 사업이 이명박이 한반도 대운하(GKW)를 건설하려다 입찰에 실패한 것에 대해 만회하려던 수단은 아니었는지 공개적으로 의문을 제기했다. The GKW was one of Lee’s campaign promises. An idea born during the height of Korean maritime trading strength, the GKW was a massive infrastructure project that proposed to expand development of Korean rivers as trade conduits, making them accessible to mega container ships, presumably enhancing the efficiency of transportation. This project was roundly criticized and eventually abandoned but many critics viewed the FMRRP as Lee’s replacement, presumably to appease industrial interests that may have supported him during his presidential campaign. 한반도 대운하는 이명박의 선거공약 중 하나였다. 이는 한국 해상 무역의 최강기에 태어난 아이디어로서, 한국의 강을 무역 수로로 확장하여 거대한 컨테이너 선박들을 접근 가능하도록 만드는 거대한 기반 시설 프로젝트였고 이를 통해 운송 효율성을 높일 수 있을 것으로 예상되었다. 이 프로젝트는 심하게 비판을 받았고 결국 폐기되었지만 많은 비평가들은 4대강 사업을, 아마도 대선 선거운동 기간에 그를 지지했을 수도 있는 산업의 이해를 달랠 수 있는 이명박의 대체 계획일 것으로 보았다. In 2013, a report released by the Board of Audit and Inspection of Korea (BAIK) reaffirmed the idea that the FMRRP was a project initiated and implemented with direct, personal guidance from Lee. The BAIK report confirmed that Lee was essentially the only one pushing for the project, even lying publicly about some of the justifications for it. For example, one of these justifications was the idea that South Korea had been deemed by the UN as a “water shortage” country. Such a categorization had never taken place. In May of this year, President Moon Jae-in authorized a full audit of the FMRRP, the results of which have yet to be released. 2013년에 한국 감사원이 발표한 보고서는 4대강 사업이 이명박의 직접적이고 개인적인 지휘 하에 시작되고 실행된 프로젝트라는 생각을 재확인해주었다. 감사원 보고서는 이명박이 실제로 프로젝트를 추진하는 유일한 사람이며 심지어 그 프로젝트를 정당화하는 일부 사유에 대해 이명박이 공개적으로 거짓말을 하고 있음을 확인했다. 예를 들어, 정당화시키는 이러한 변명 중 하나는 한국이 유엔에 의해 “물 부족” 국가로 간주되었다는 것이었다. 그런 분류는 결코 존재하지 않았다. 올해 5월 문재인 대통령은 4대강 사업에 대한 온전한 감사를 승인했으며 그 결과는 아직 공개되지 않았다. Even before becoming president, Lee Myung-bak was no stranger to scandals. The most infamous of these was the BBK scandal. 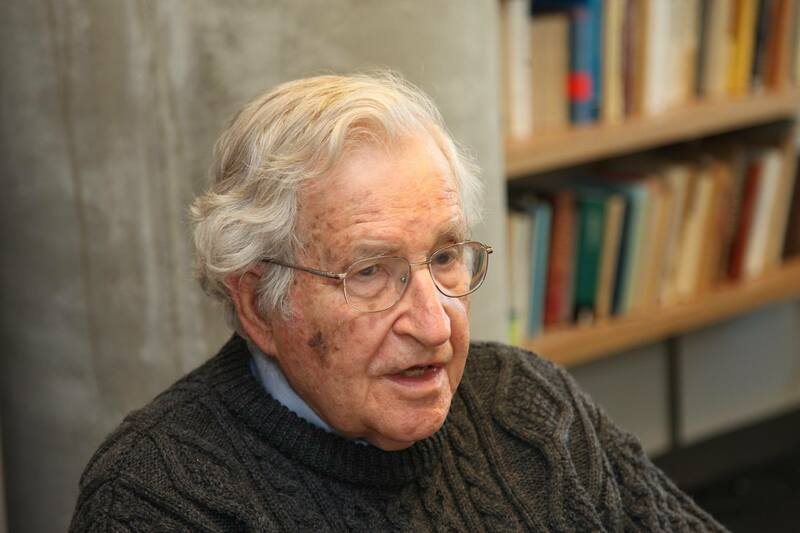 Following a violation of election laws in 1996, Lee, then a member of parliament, resigned from office and served as a guest researcher at George Washington University. It was during this time that he began working with one Kim Kyung-joon. 대통령이 되기 이전에도 이명박은 스캔들에 휘말리곤 했다. 이중 가장 악명 높은 것은 BBK 스캔들이었다. 이명박은 1996년 선거법 위반 이후 국회의원 직을 사퇴하고 조지 워싱턴 대학교 객원 연구원으로 재직했다. 이 시기에 그는 김경준 씨와 함께 일하기 시작했다. 김경준은 BBK라는 투자 회사의 이사였다. 이명박은 김경준이 이름 뿐인 회사들을 만들고 외국인 투자가들이 이들 회사를 곧 인수한다는 거짓 소문을 퍼뜨려서 주가를 조작하는 것을 도왔다고 믿어진다. 그 소문은 주가를 현저하게 높여주었고 결과적으로 약 300억 달러의 이윤을 낳았으며, 이 자금은 이명박과 김경준의 소유로 후에 밝혀진 자회사들을 통해 횡령되었다. 결국 손해를 본 많은 한국 투자자들이 제기한 혐의와 소송에도 불구하고 그 혐의는 처음에 “증거 부족”으로 기각됐다. In the run-up to the 2007 presidential election, allegations about BBK resurfaced to harass Lee’s campaign. 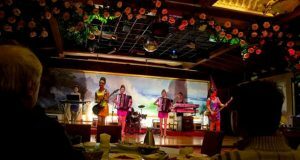 Kim was arrested and imprisoned and some evidence even surfaced to prove Lee had financial interests in BBK and other companies involved in the embezzlement. Yet, once Lee took office, no additional charges were filed. Kim, on the other hand, was subsequently sentenced to eight years in prison. 2007년 대선을 앞두고 BBK에 대한 의혹이 다시 수면 위로 떠올라 이 대통령의 선거운동을 방해했다. 김경준은 체포되어 수감되었으며 심지어 이명박이 BBK, 그리고 횡령과 관련된 기타 회사들에 대해 금전적 이해 관계를 가지고 있음을 입증하는 증거도 나타났다. 그러나 이명박이 일단 집권하자, 추가 기소는 제기되지 않았다. 한편 김경준 씨는 이후 8년형을 선고 받았다. Kim’s prison sentence concluded in March of this year, resulting in his release and immediate deportation (he is a U.S. citizen). Upon arriving in the United States, Kim vowed to help reveal Lee’s involvement in BBK, saying, “When it comes to the BBK scandal, people think I am guilty, but I am not. In fact, I have won many legal cases related to this scandal. 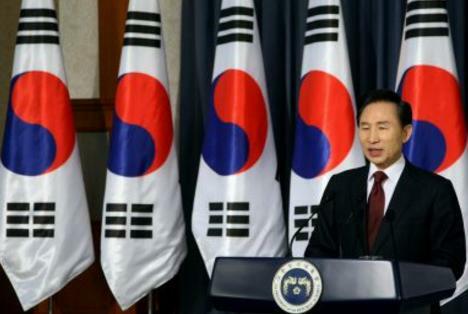 It was the fault of the then ruling party and the real beneficiary was the Lee Myung-bak administration.” This week, Korean prosecutors revealed they have since reopened the case and were probing Lee’s involvement in the scandal, making it more and more likely that a second president may join Park Geun-hye in facing imprisonment in the near future. 김 씨의 징역형은 올해 3월에 만기되었으며 그는 석방 후 즉각 추방되었다(그는 미국 시민권자이다.) 미국에 도착하자 마자, 김 씨는 “BBK 스캔들에 관해 사람들은 내가 유죄라고 생각하지만 나는 잘못한 것이 없다”고 말했다. 그는 “사실, 나는 이 스캔들과 관련된 많은 법적 소송 사건에서 승리했다. 당시 집권당의 잘못이었고 실제 수혜자는 이명박 정부였다”고 말하며 이명박 대통령의 BBK 관련성을 밝히는 일을 돕겠다고 선언했다. 이번 주 한국 검찰이 그 후 이 사건을 재개하였고 이명박이 이 스캔들에 관견이 있는지 조사 중에 있다고 발표함으로써, 가까운 장래에 두 번 째 대통령이 박근혜에 합류하여 수감될 가능성이 점점 더 농후해지고 있다. Justin Fendos is a professor at Dongseo University in South Korea and the associate director of the Tan School at Fudan University in Shanghai. He is a regular contributor for the Korea Herald.